The clash of the titans returns. 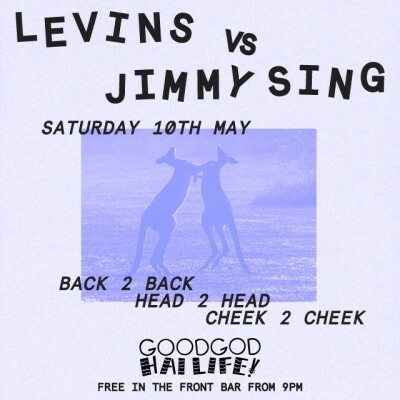 It’s Dip head honcho Levins vs the Goodgod boss, Jimmy Sing! Together, on the decks, all night long.